2018 Oscar Nominations & Predictions Contest! WOW! Last year we played 9 films that are nominated for Academy Awards this year! We’re proud to be part of these films’ journeys so far and wish them luck on March 4th! We’re so thrilled that Heaven is a Traffic Jam on the 405, our Jury and Audience Award-winning documentary short from 2016, was nominated for an Oscar® after we qualified it. Big congrats to director Frank Stiefel and subject Mindy Alper! 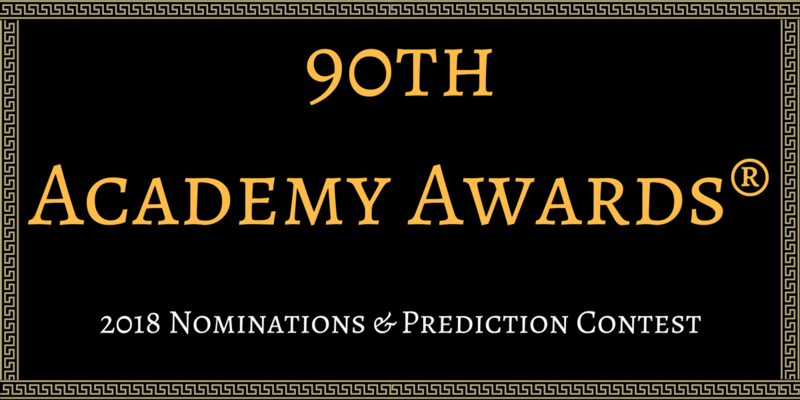 Try your luck at predicting the 90th Annual Academy Award® winners with AFF’s Oscar Prediction Contest! Austin Film Festival is the place to get your Oscars fix in October. If you attended the 2017 Festival and Conference, you had a chance to see some of the nominees before anyone else! AFF Film nominations include Lady Bird, Call Me By Your Name, Darkest Hour, Three Billboards Outside Ebbing, Missouri, & Mudbound! The top five entrants who most closely predict the winners of the categories below will each win one Lone Star Badge to the 2018 Austin Film Festival and Conference. The contest is open as of Wednesday, January 24th, 2018 and will close at the start of the Academy Awards® telecast on March 4th, ballots submitted after the telecast begins will not be eligible. Ballots limited to one entry per person, many will enter, five will win. The Academy Awards® have begun! We will announce the winners in this week’s newsletter!